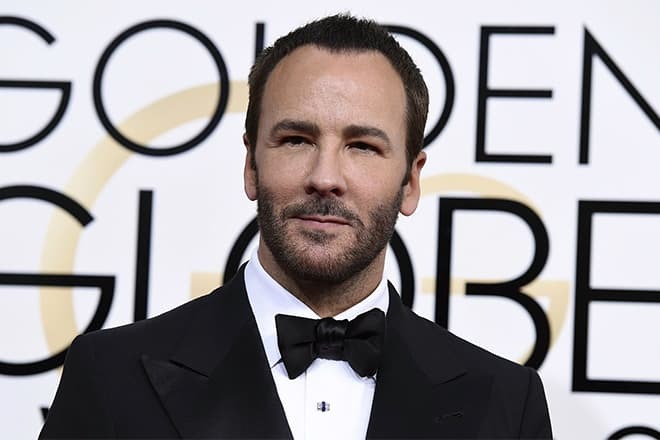 Tom Ford is a designer and director, who has gained world popularity during his work in Gucci Fashion House. 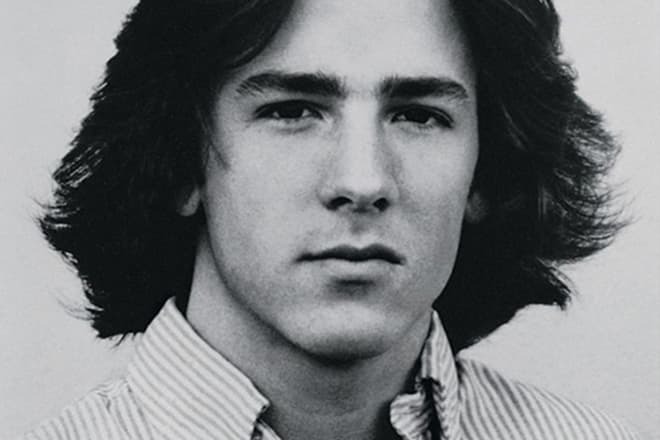 Tom Ford was born on the 27th of August, 1961 in Austin (Texas), in the family of realtors Shirley Burton and Thomas David Ford. When the boy turned eleven, the family relocated to Santa Fe, situated in the south of the US in New Mexico. After finishing the school in 1979, Tom entered the Bard College at Simon's Rock. Though, in a short time, the young man left his studies and moved to New York to study the History of Art at prestigious New York University. After a year of studies, Ford left the university and entirely focused on the participation in TV commercials. Soon, Ford entered the Parsons The New School for Design where have studied Marc Jacobs and Donna Karan, clothes designers Alexander Wang and Jason Wu, and also a musician Rob Zombie. In the town on the Hudson River, Ford regularly visited the cult nightclub Studio 54, which became famous due to its legendary parties. By the words of the designer, it was then that he got aware of the fact that he was gay. The avant-garde glamor and theatrical atmosphere of the famous club have influenced Ford's later projects greatly. Before his last year at the college, Ford spent 1,5 years in Paris, where he was working on probation at the press service of Chloé Fashion House. The practice in the capital of France has increased Tom's interest in the fashion, although he has graduated from the college with a degree in the sphere of architecture. Even though he lacked special experience in the fashion industry, after finishing the college, Tom began to achieve the attention of the American clothes designer Cathy Hardwick. He hoped to get a job in her company. At last, Hardwick invited Ford for the interview, during which the young man created a positive impression on the designer. As a result, she accepted him as a personal assistant. "I had to leave the USA to become a good designer. The culture of my native country held me back. Here, unlike Europe, the exquisite style is not in demand." In 1990, the Italian Gucci Fashion House which had financial difficulties at that time hired Ford as a chief designer of the women's fashion department. Ford relocated to Milan. In a short time, Tom began to create male clothes, and later - shoes. Already in 1992, Tom occupied the vacant position of the design director. He has taken control over the clothes' production, the release of the accessories and fragrances. Moreover, he was engaged in the advertising and the direction of the shops. It wasn’t without creative conflicts: Maurizio Gucci, the co-owner of the company, "always wanted everything to be of the round form and in brown color and Tom wanted to make everything in the square form and black color." In 1994, Ford got a position of the creative director of Gucci. During his first year of work in the new quality, the designer demonstrated a luxurious collection of tight velvet hipster pants with a low waist, light satin shirts, and patent leather boots. During the next two years, the sales in Gucci have increased by 90%. By 1999 the fashion house, which was about to be declared bankrupt by the moment when Ford began to work there, was estimated at $ 4 billion. In 1999, Gucci pursued Yves Saint Laurent (YSL) Fashion House, and Tom received the position of the creative director of the label. Saint-Laurent didn't conceal his dissatisfaction with Ford's projects. Though, during his work in YSL, the American designer received some awards from the Council of Fashion Designers of America and contributed to the fact that the fashion house regained its former popularity. 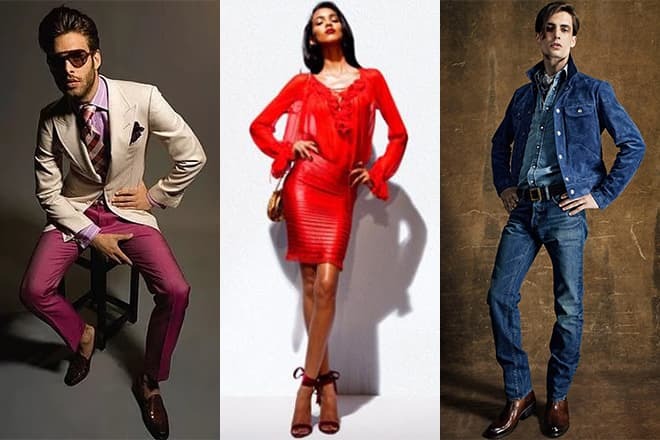 In 2004, Tom left Gucci, and in 2006 he launched his male and female clothing lines, perfume, glasses, and accessories’ lines, which he has called "Tom Ford." In a short time, the designer acquired hundreds of famous admirers, among which there were Beyoncé, J. Lo, Anne Hathaway, Johnny Depp, Ryan Gosling, Will Smith, Hugh Jackman and others. In 2007, the brand released an exclusive collection of twelve perfumes, the most popular among which turned out to be eau de toilette "Tobacco Vanille," a musky-woody fragrance of the "unisex" category and "Oud Wood" which has conquered the hearts of the customers with its rich exotic scent. 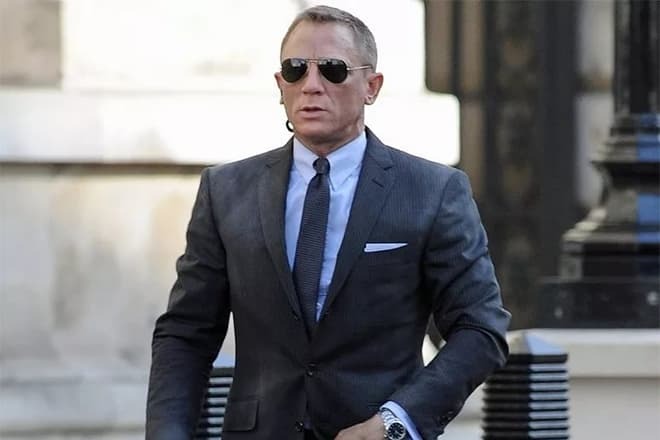 Besides, Ford worked on the costumes of Daniel Craig for three James Bond movies (Quantum of Solace, Skyfall, and Spectre). Also, he provided the participant of Justin Timberlake's music video "Suit & Tie" with the outfits, shirts, and accessories and produced more than 600 outfits for Timberlake’s concert tour in support of his album "The 20/20 Experience". In spring of 2005, Ford decided to enrich his biography with the foundation of his own movie production company called Fade to Black. In 2009, Tom had his debut as a director. He presented his drama A Single Man with the participation of Colin Firth and Julianne Moore. In the movie, the director has mainly focused on the recreation of the details, colors, and images of the 60's in the outfits and architecture. The film received a couple of prestigious awards, and after that Ford was considered not only a talented designer but as a director as well. In 2015, Tom began to shoot the neo-noir thriller Nocturnal Animals with the participation of famous Hollywood actors such as Jake Gyllenhaal and Amy Adams. The movie was appreciated by the critics and received Grand Prix of the jury at 73rd Venice Film Festival. 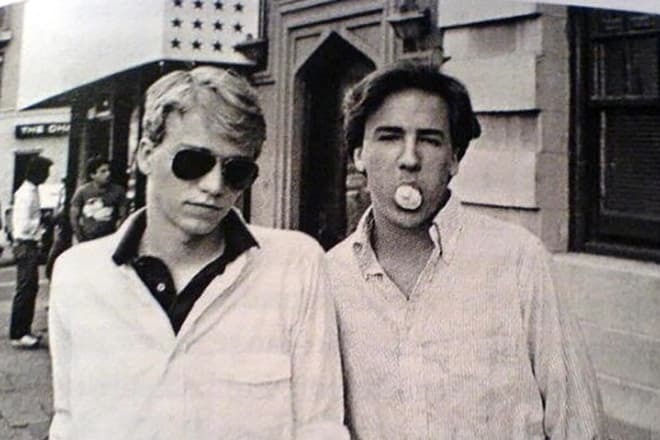 Since 1986, Ford has relations with Richard Buckley, a journalist and former editor-in-chief of Vogue Hommes International. A few years ago, the lovers got married and adopted a boy called Alexander John "Jack" Buckley Ford (he was born in 2012). For a long time, Ford and Richard lived in Italy, but later they moved to London. In the native town of Santa Fe, the couple has a huge country complex with a total area of more than 9700 hectares, designed by the Japanese architect Tadao Ando. In March 2017, Ford announced on his official website that his brand no longer followed the concept of see now-buy now (has seen, has bought, has put on) and returned to the standard Fashion Week schedule. The designer told that this decision was caused by the fact that the fashion industry wasn’t ready for such novelties. Ford supported the concept of see now- buy now only during one season. The next fashion parade of the brand collections, of spring-summer 2018, will take place in New York, but not in London. The studio for production of women clothing collections will be working in Los Angeles in a short time, but the male studio will still function in the capital of the United Kingdom. Also, there appeared the information that Ford, who had worked in London for many years, was going to relocate to the United States. 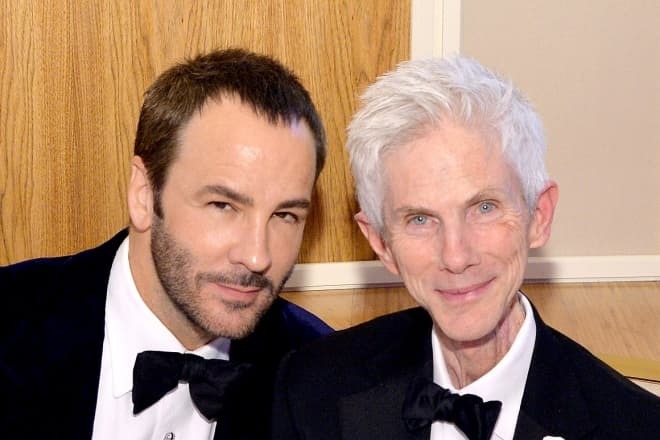 In Los Angeles, Tom with his husband and son will settle in the mansion that belonged to the American socialite of the 1960-s called Betsy Bloomingdale.